After the success of the original New American Poets 1945-1960 through the decade of the 1960s Donald Allen created a franchise of updated anthologies. By the way, the original edition is still in print and I always used it for a textbook for my course in literature of the Beat Movement. Beginning in 1973 Allen issued The Poetics of the New American Poetry, another anthology in which he collected every statement on the poetic craft and theory he could from 1950s-1960s avant-garde poets. The next series I will begin for The Scene will be these statements of poetics from the New American poets themselves. Then in 1982 he updated his anthology altogether, making it more inclusive of women and poets of color, titled The Postmoderns: The New American Poetry Revisited. Also Ekbert Faas published in 1978 Towards a New American Poetics: Essays and Interviews, a widely quoted critical work that ultimately gave the term “New American Poetry” credence. Today, virtually any study of the poetry of such writers as Robert Creeley, Robert Duncan, Charles Olson, and Allen Ginsberg still refers to the idea of New American Poetry. 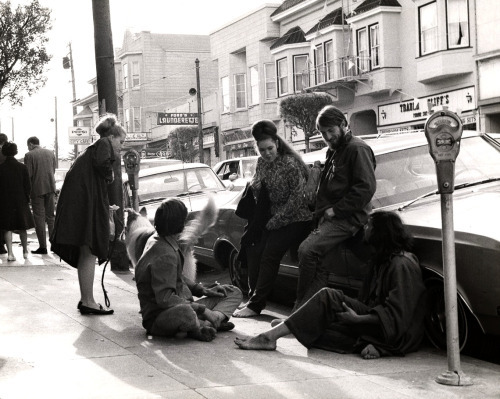 It was the anthology of the San Francisco Renaissance, the poetry anthology of the Beat Movement. It included not only the certified rebels and outlaws of American literary society like Jack Kerouac and Allen Ginsberg but also intellectuals and academics such as Charles Olson, Robert Duncan, and Kenneth Koch. Donald Allen shifted the landscape of contemporary American literature. The major turning point of the Beat Movement toward postmodernism was not so much Jack Kerouac’s spontaneous novels such as Visions of Cody, Dr. Sax, or even Tristessa, as it was The New American Poets, 1945-1960, from Grove Press. But perhaps what really made a difference among young radical poets of the 1950s and 1960s was that the poets in that red and white anthology were all new. I remember when I first picked up a copy in a library a few years after its publication. I was stationed just down the road from San Francisco in the U.S. Air Force. It gave me my lifelong passion for poetry and ultimately all of literature and so much more. I mean, these were not the poets anybody studied in school. And I was right. In fact, in 1960 the anthology that had solidified the canon of contemporary poetry and thus established which poets were worthy of serious attention by serious people, was that venerable textbook New Poets of England and America, edited by Donald Hall and Robert Pack. Not one poet The New American Poets was found in Donald Hall’s anthology, nor his poets in Donald Allen’s anthology. There was no overlapping whatever. Instead, New Poets of England and America includes such poets as Anthony Hecht, Robert Lowell, W. S. Merwin, May Swenson, and James Wright, obviously all of whom developed distinguished careers in later life and all received early academic recognition. The difference between the two anthologies was simply that: one anthology represented the academic poets favored by the New Critics; the other represented poets outside the academic mainstream. About The Scene: How Do You Differentiate Radical Poetry from Mainstream or Establishment Poetry? Who knows? I know the difference when I see it, ok? But I do see a clear distinction between radical, innovative, avant garde, experimental (or whatever label you want to use) poetry and what I usually call genteel poetry. I mean, most of the radical poets of the past are in the big canon taught in schools nowadays, so that’s no longer a distinction. I’ve taught courses on the Beat Movements a number of times. Yes, I have great respect for genteel poetry and, again, have written about genteel poets plenty of times. And I encourage to you follow my Literary Life blog where I separate out the genteel from the radical somewhat. More than that, though, let’s read the genteel poets radically. Generally, the distinction is most often made on the basis of the poetic tradition itself. In American literature we usually distinguish the formal, genteel, tradition of Edgar Allan Poe and his successors with that of Ralph Waldo Emerson, Walt Whitman and their successors. Obviously lines are blurred all the time and even the common dichotomy of the two traditions is often disputed. But I am going to maintain a bold claim for poetry right now in our own time. Modern and contemporary fiction has virtually caved in to becoming capitalist cheerleaders. Even our best contemporary novelists just as our best filmmakers see their work as market driven. The true literary art forms and artists today are almost exclusively our poetry and poets and some non-market driven plays and playwrights. No no no! I just read the stuff. I don’t write it. So I cant tell you how to write it. Well, maybe one bit of advice. Don’t rhyme. Come follow The Scene by hitting the button on this page.